After three years on a whaling voyage, Henry Macy returns to Nantucket to news that his grandmother has passed, bequeathing her vast fortune to him and his sister, Hitty. And it was truly vast. But Lillian Coffin was no fool. The inheritance comes with a steep cost, including when each should marry and whom—a Quaker in good standing, of course. But if they relinquish the inheritance, it all goes to Tristram Macy, their father’s thieving business partner. As Hitty and Henry seek a way to satisfy the will’s conditions, they’ll be faced with obstacles on every side—and it may be that Lillian Coffin will have the last word after all. What a great Nantucket sea-faring family motto. I’ll be thinking about this quote for many days to come. The quote is often repeated by Jeremiah Macy, Hitty and Henry’s paternal grandfather, when the main characters come up against one dilemma after another. This third installment in Nantucket Legacy series follows twins Hitty and Henry Macy as they navigate their maternal grandmother’s wealth upon her death and try to positively influence the future of Nantucket in the mid-1800s. 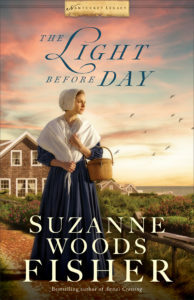 It is a wonderful tale with incredible characters, real historical events blended seamlessly with fictional embellishments, a well-paced plot in the midst of everyday Nantucket happenings with some surprises thrown in, a nice undercurrent of intrigue and suspense, fun dialogue, and a steady dose of lessons in faith. Though it’s not necessary to read the previous two books in the series, reading them first will give the reader a better understanding of the characters and their family history as well as the history of Nantucket that plays a large role in the story. I really enjoyed the almost dual-timeline aspect of the story with Great Aunt Mary’s journal from the late-1600s into early-1700s coming alive within the story as Henry reads the old faded journal for perspective and wisdom. I totally fell in love with Hitty and Henry. Such wonderfully connected twins yet so very different. 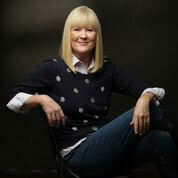 Hitty is a warm, tender-hearted, generous woman who loves the best in each person. She is delightful and full of life but feels unworthy due to her dyslexia. Henry is the thinker who waffles and is indecisive but quite intelligent and loyal. He’s somewhat lost in his purpose in life until he finds his voice as the newspaper editor carefully helping to bring in change to the small island of Nantucket. The author looks at social issues – like racism, segregation, consequences of blind belief in what our ancestors believed without thought and the slippery slope of faith without a formed church or leadership – thoughtfully through the eyes of Hittie, Henry, and Jeremiah. 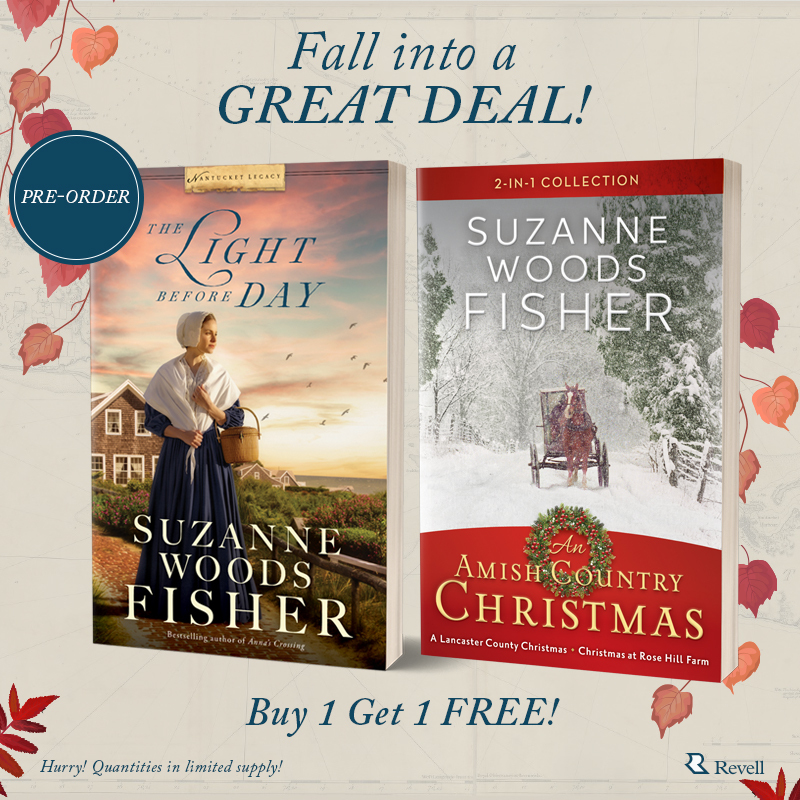 If you enjoy a well-written historical fiction with a touch of romance, this book will enthrall you. I was given a copy of the book from Baker Publishing Group via Celebrate Lit Tours and was under no obligation to post a positive review. All comments and opinions are solely my own. In each story of the ‘Nantucket Legacy’ series, there’s a reference to a mortgage button in the newel post of a stairway. Phoebe Starbuck, the main character in Phoebe’s Light, made a point to notice it in the captain’s house on Orange Street, the famous residences of sea captains. In Minding the Light, Daphne Coffin touched the mortgage button on the newel post of her horrible mother’s grand house each and every morning. Hitty and Henry Macy were well aware of the absence of their childhood home’s mortgage button—and all that its absence symbolized—in The Light Before Day. Mortgage buttons meant something to each of those characters. It made a statement to anyone who walked into a house. Have you ever seen a mortgage button? It’s a very Nantucket-y tradition. In fact, some say the mortgage button originated on Nantucket Island, thirty miles out to sea. 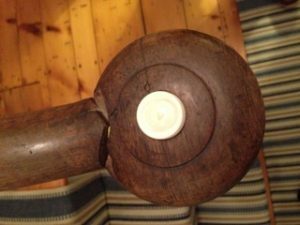 Supposedly, when a house’s mortgage was fully paid and there were no liens against the property, the homeowner drilled a hole in the newel post of the main staircase, rolled up the mortgage document, put it inside, and capped the hole with a decorative plug of scrimshaw. Scrimshaw is a term for an American folk art developed during the 18th and 19th centuries. Whaling in New England was an industry that lifted Nantucket Island to become the world’s wealthiest port. After a whale’s oil was rendered, the ship’s captain would give his crew the sperm whale’s teeth or bones to carve during long tedious hours at sea. Whaling had its exciting moments, but they were far and few between. 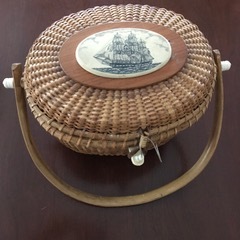 As a pastime, sailors carved all kinds of useful gifts to bring home to their loved ones: needles, combs, games, clothespins, busks…and mortgage buttons. But let’s jump back to the mortgage button. Some legends say that the actual mortgage papers were ceremoniously burned and the ashes stashed inside the drilled hole before sealed with the button. However, as appealing a thought as that might be, it is most likely a myth. There’s never been any evidence of ashes or even hidden mortgages found in salvaged newel posts. Still, mortgage buttons are common among Nantucket homes, and the tradition has spread to other parts of the country. In southern states, for example, they’re called brag buttons. Whether myth or truth, today it’s more a matter of a charming nostalgic custom than a nod to your healthy (or…not so healthy) net worth. Sounds like a wonderful story! Thank you for sharing.